Huntington Beach, CA, is an expansive city that offers big city convenience with the small beach town charm. On top of the numerous beaches and scenic ocean views, there’s plenty to do around town including several commercial shopping areas, notable eateries, museums, and parks throughout the city. Of course, when it’s time to get around town, you’ll want a reliable set of wheels to rely on. If you’re in the market for a used car, why not consider a Certified Pre-Owned Honda in Huntington Beach for your travels? At Norm Reeves Honda Superstore Huntington Beach, we’re more than happy to help drivers find the right car! When it’s time to explore your options, you’ll be happy with the selection of Certified Pre-Owned models in our inventory. The selection spans from compact sedans to full-size SUVs, so there’s plenty in between that could suit your interests. You can easily drop in to take a look around, or you can simply browse the selection online. That way, you’ll find the model that speaks to you, so you can plan your visit to our Honda dealership in Huntington Beach. 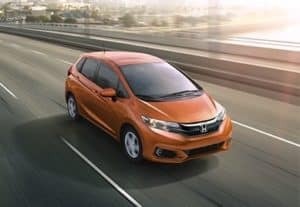 There’s plenty of reasons to get behind the wheel of a Certified Pre-Owned Honda model. Each model is six years old or younger. These models also go through a rigorous 182-point inspection so that our certified technicians can be sure of the vehicle’s quality and condition, so it can earn our stamp of approval. On top of the quality assurance, these models each include a set of warranties that drivers can rely on. Each model includes the 7-year/100,000-mile powertrain limited coverage. This warranty covers all parts and components of the vehicle’s powertrain. Honda will repair or replace any defective part or component in the powertrain. Part of finding the right car is experiencing it through a test drive. That kind of experience can really give you a strong sense of how the vehicle performs. It even gives you insight into the vehicle’s style and features. When it’s time to talk about your options with financing, our team of financiers are here to help you get a full sense of the different loan options available to you. After you’ve got a firm understanding of the terms and conditions, our financiers will run the numbers with our lenders and banks, and come up with a deal that’s right for you and your lifestyle. 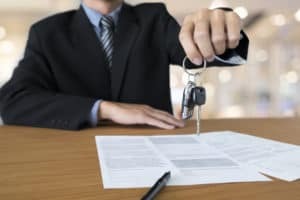 You can even get started on your financing early by filling out our finance application so we can start the paperwork! If you’re in the market for a used car in great condition, swing by our dealership to check out our selection of Certified Pre-Owned Honda vehicles in Huntington Beach. 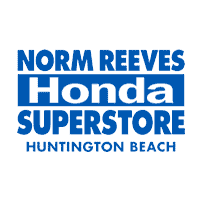 At Norm Reeves Honda Superstore Huntington Beach, we’re proud to help drivers find the vehicle that’s right for them!